After the devastation of the hurricane named after St Jude I decided to do a little research on what qualities make a saint. Initially it was a term of greeting for those in Jesus’ inner circle, otherwise known as his disciples. After this it was used for people who suffered through following their faith. Saint-hood is associated with those who devote their life to their beliefs, often entering a monastery or religious order. Some lived alone, away from the pressures of society. 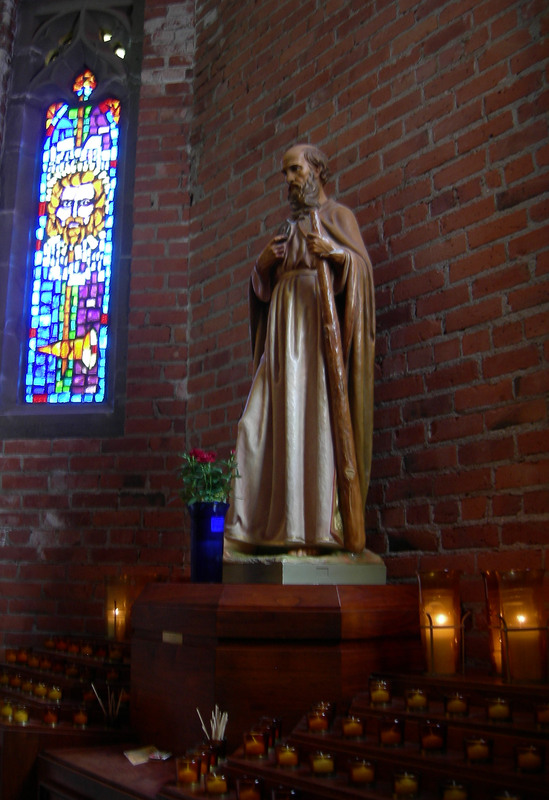 Saint-hood was granted posthumously or conferred by one’s denomination. The person had to demonstrate their goodness and service over a significant period of time. The 2,000 year Piscean age which commenced with the birth of Jesus and the vision of his suffering on the cross gave the message that we were godly if we suffered and martyred ourself. At the inception of the Aquarian Age the onus is on individuality, humanitarianism and unity. If you want to manifest a happy life suffering is not your best course of action. By giving away your power you lose connection with your spiritual self. Life is meant to be easy and fun. Living in a world of duality we find our best path by trying different experiences on for size and discounting the ones that don’t work or we don’t enjoy as much as we thought we would. Being in touch with our real self is simple. If things are falling into place and opportunities are opening up naturally we know we are lined up with our inner guidance. If things are difficult and your path is littered with obstacles you have lost your connection and need to try a different route. We can all become like saints if we aim to be the best we can be. To treat others as we would like to be treated. In the Aquarian Age of individuality we can follow our own inner faith and our personal connection to our higher self. This very individual guidance leads us to what is right for us which will bring us personal happiness. Our astrological Sun sign has positive and negative traits. It describes our individual potential and it is our choice how we manifest this. We display the best qualities of the sign and feel the most fulfilled when we take active steps to do what we are personally accomplished at in the best possible manner. If we are happy we radiate the best of our own qualities and our vibration affects other people positively. Surely that feels better than feeling like we have to suffer in order to be perceived as good and saintly? We don’t need public acclaim just the satisfaction of knowing that we are doing the best we are capable of right at this moment in time. We are fragments of Source energy. Spiritual beings having a temporary experience within an Earthly illusion. Within duality we face challenges but if we know who we are how can Source energy be anything less than perfect, less than unconditional love, less than joy? We choose our lives and circumstances for a reason. The spiritual planets show the timing of life challenges. These are opportunities for personal transformation. It is our choice whether to move through a challenge fairly quickly or to stay within it. There is no right or wrong about this. Our personality suggests how we will handle challenges. Time and again I see people who turn a life challenge into a life purpose. They are passionate about their vocation. And their life acquires a flow. They begin to trust their intuition and they discern the meaning within the challenge. Their intuition then leads them to new and exciting experiences. We are emotional beings so there will always be ups and downs but when you see your glass as half full rather than half empty you attract more of the same. I have read and resonate with all of Brian Weiss’s, Michael Newton’s and Robert Schwartz’s books (amongst others). Over and over again, people report that their souls pre-planed and designed their lives, circumstances and relationships to motivate them to heal past traumas, false beliefs and overcome any number of “negative” issues. These circumstances and experiences often include immense suffering and pain but there is always a reason and a healing or lesson to be found in them. As Spirit through John has said, “All experience is valuable, at least it can be, if you will “mine the gold nuggets” every experience holds for you”. That makes a lot of sense. But it doesn’t explain why in all of these books detailing hundreds of peoples’ experience and reasons for re-incarnating I have never read of a single one who said they were coming back to have a life of ease and fun. They may choose an easier one after a fast track challenging lifetime but I have never heard mention of fun or joy on earth. These are not all young or beginner souls. Michael Newton talks about the different levels of attainment and the energy colours displayed by these souls. Even highly advanced souls can create difficult lifetimes of suffering and pain to gain more skill in specific areas. Perhaps they have conquered jealousy but made little progress with intolerance for example. They will therefore create a lifetime where they experience intolerance. We may have to go through difficulties and obstacles to hone our skills of compassion, humility, greater awareness etc. So my question is, why do people connected with their souls through hypnosis or mediums, report reasons of learning or growth (by whatever means) for their lives whereas some spirit guides tell us our reason for being here is ease and fun? Thank you very much, Barbara — that’s a great question! I don’t have all the answers. But I love Austrian psychiatrist Viktor Frankl’s perspective on his World War 2 imprisonment in a Nazi death camp. I don’t recall his exact words — but he said he and a friend, a fellow prisoner, agreed together they would find at least one thing to laugh about every day. And they did in what must have been horrendous circumstances beyond what most of us can imagine. Obviously, they both had a “soul purpose” for that awful growth experience. But they managed to have at least a little fun along the way. You are very welcome, John. I know many people have the same question. I remember the Victor Frankl story. It, and he, are very inspirational. Years ago Chief Joseph explained that one’s highest authority is one’s Higher Self and that It’s guidance comes before all else…………Somehow from that point on I found myself in an ever deepening relationship with what I call my Divine Self……..In this life I am extremely familiar with the darkest of challenges….I could almost cringe hearing that this life is supposed to be fun and easy……….it’s a case of feeling burdened and then feeling guilty because of it……I’m so grateful that I can go to my Divine Self to ask about the whys of this. So, in my instance, it turns out that I chose to help clear the darker, dense energies both for Gaia and humanity……and these clearings need to pass through my body………So apparently nothing was wrong, I didn’t need to change anything….it was more a case of being the calm witness and letting things be…….My trust in the divine flow is deepening and I follow the cues for change. Living this way allows me to feel liberated………..Thank you……….